When you think of casinos, you probably picture the sprawling gamblers’ paradise of Las Vegas, or large and luxurious resorts where no expense has been spared. 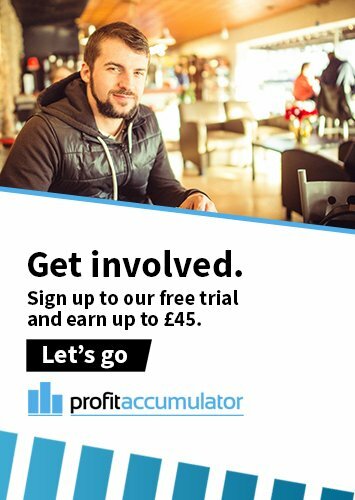 While there are smaller independent casinos and respected chains across the globe, there are a select few which operate in a league of their own. These are some of the world's top luxury super-casinos and present themselves as destinations in their own right, offering guests an exquisite holiday as well as fantastic gambling opportunities, and look to attract the rich and famous with lavish surroundings unlike anything most guests will ever have experienced. Opened in September 2006, the Wynn Macau luxury hotel and casino resort cost a reported $1.2b and is considered one of the world’s most impressive casinos. It boasts more than 1,400 hotel rooms and luxury suites throughout 205,000sqft – not to mention a high-end shopping centre housing an array of designed fashion brands, a bar, two restaurants and a spa. But what truly sets the Wynn apart, of course, is the spectacular casino. Spread across two floors, the Wynn Macau’s casino offers an unforgettable experience and has proved a huge hit with guests – so much so, in fact, that the owners are planning to build an even resort nearby. This superb resort is far from cheap, but it’s sure to give you a holiday you’ll never forget! Famous for its Venice-inspired architecture and canals and costing an eye-watering $1.7b to build, the opulent surroundings of the Venetian hotel and casino provided further evidence, if it were needed, that Las Vegas is the number one destination in the world for gambling. 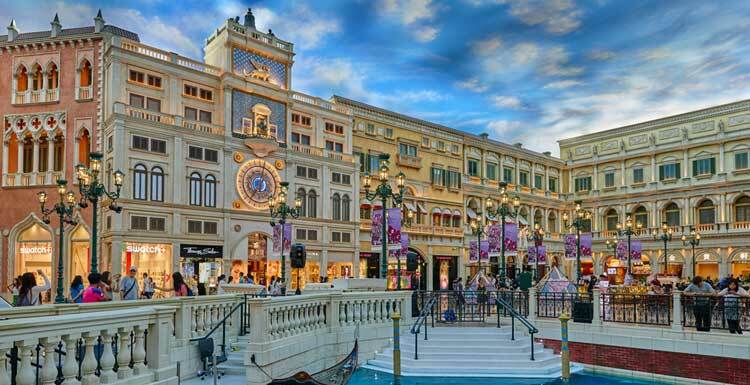 The owners pulled out all the stops when creating this heavenly hotel - indoor canals, gondolas, Piazza San Marco and the Lion of Venice complete the Venetian’s look, making this resort a huge draw for tourists from across the world – and that’s before you consider the 120,000sqft of the casino floor. Boasting 4,000 rooms and suites, an expansive spa (the Canyon Ranch Spa Club) and a range of treatments and leisure activities including a 40ftt climbing wall, the Venetian should be on the bucket list of anyone with a taste for the finer things in life. 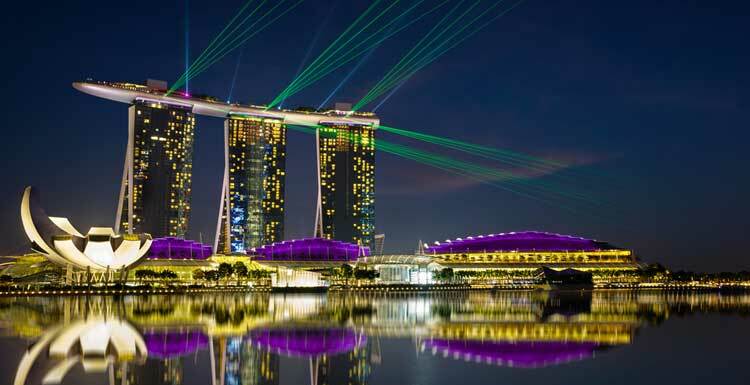 In recent times, Singapore has begun to make a name for itself as one of the go-to holiday destinations for anyone who likes a flutter, providing stiff competition for Macau and Las Vegas when it comes to the ability to offer high-class casinos. Built at a cost of $6.59 billion in 2010, Resorts World Sentosa is a breathtaking construction that goes above and beyond what you’d expect from a hotel casino. Set out across over 120 acres, this hotel complex boasts a marine life park as well as a Universal Studios theme park, a range of top restaurants staffed by many of the world’s most revered chefs and a variety of spas and health clubs – not to mention a number of high-end show productions. More than 30 million visitors have flocked to the resort over its first two years in business. With over 1,500 hotel suites for guests across seven separate hotels, and an impressive 160,000 square feet casino floor, Resorts World Sentosa offers something for everyone. 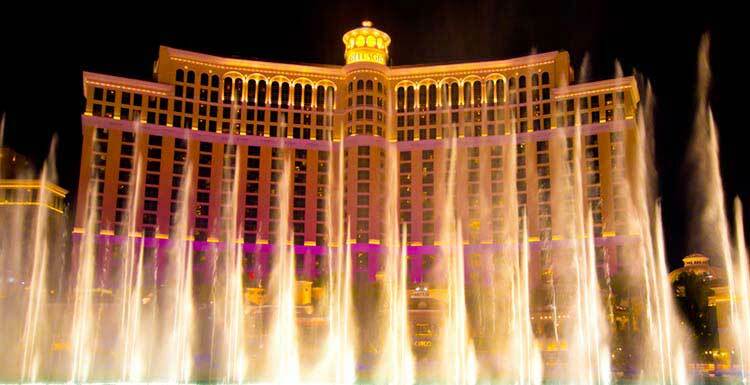 One of the world’s most famous and luxurious hotels, the Bellagio resides in the aptly-titled Paradise, Nevada. This blissful utopia was unveiled in 1998 at a cost of $1.6b – and you can see every cent of that price tag in the hotel’s stunning design. Housing over 115,00osqft of casino floor at the heart of this impressive complex, gambling is what draws you in. There are 4,000 stunning suites available, two AAA Five-Diamond restaurants on-site (the world renowned Le Cirque and Picasso, staffed by award-winning resident chefs including Michael Mina, Jean-George Vongerichten, Julian Serrano and Todd English). And of course, there is the astonishing Fountains of Bellagio, a gorgeous water installation at the front of the resort which synchronises water, lights and music in a truly awe-inspiring fashion. It’s no wonder the Bellagio is one of Las Vegas’ grandest and most popular luxury resorts, winning plaudits from people across the globe. 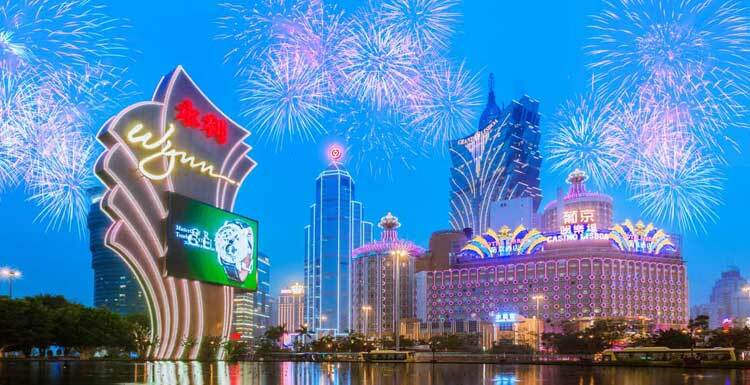 Sitting right across the road from the stunning Venetian Macau hotel, the City of Dreams resort has worked hard to its grandiose name. 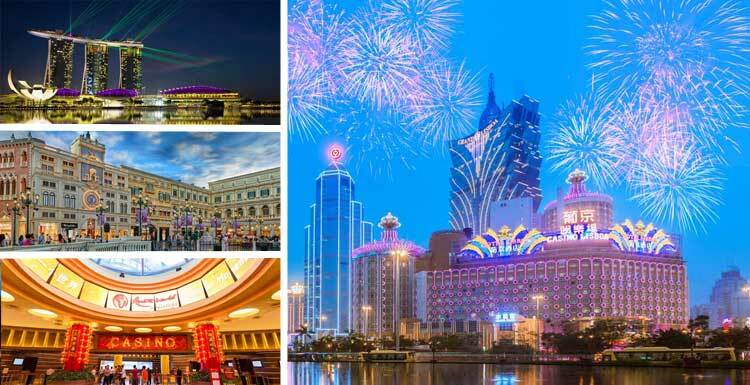 Opened in 2009 at a cost of $2.1b, this exquisite casino resort is one of the jewels of the Asian casino hotel world – so if you’re travelling to Macau, make sure to visit both of these superb casinos. The City of Dreams is one of the largest casinos on the planet, dwarfing even the vast resorts of Las Vegas with over 420,000 sqft of casino floor and 1,400 charming rooms and suites, and sets itself apart from the competition with its superb in-house show ‘The House of Dancing Water’; designed by Cirque du Soleil director Franco Dragone. The delightful water show features a cast of 80 performers in a grand theatre, providing a fabulous night of entertainment for guests away from the tables. 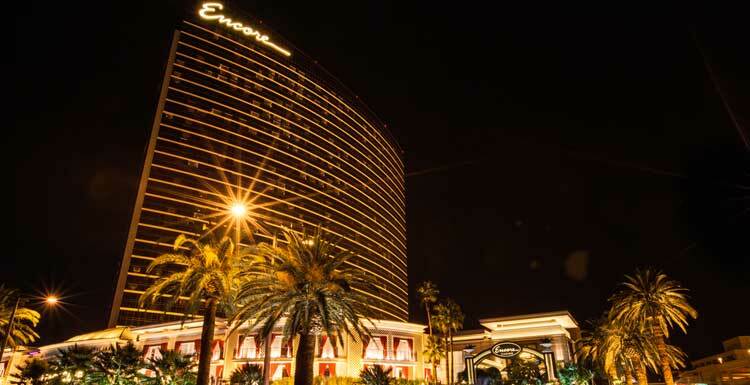 Costing an astonishing $2.3b and first opened in December 2008, the Encore was the result of the Wynn Las Vegas resort’s longstanding plans to expand its capacity. Adding over 2,000 rooms and suites along with an additional 74,000 sqft of casino floor, the project proved to be a huge success – as well as the sprawling casino there are three nightclubs, an array of bars, five top-quality restaurants and even a dedicated theatre – allowing the Encore to lay a reasonable claim to being the most impressive hotel in the world. In fact, the Encore is so prestigious, it’s been able to draw some of the world’s biggest stars to perform at the resort, with big names including Beyonce and Garth Brooks among those who have enjoyed high profile residencies in recent years. For those who enjoy nothing more than a relaxing holiday by the pool, there’s even a poolside gambling suite at the Encore Beach Club, where you can enjoy a spot of betting in the sunshine. There’s a strict dress code in force, however - this poolside is designer only, and patrons are asked to ‘dress to impress’. With a casino this lavish, it’s unlikely your old Speedos will cut the mustard. Built for an incredible $5.7b, the Marina Bay Sands hotel has redefined the word "lavish", with 2,561 luxurious hotel rooms and suites available for guests, giving the Resorts World Sentosa a run for its money as the best casino resort in Singapore. 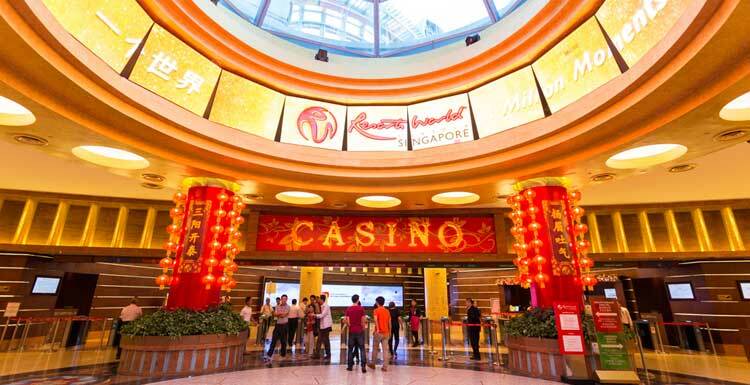 Set over 161,000 sqft, the casino gaming area is of a similar size to Resorts World Sentosa, and enjoys the distinction of being one of the most recognisable buildings on the Marina Bay. Atop the 57th floor is the SkyPark, a three acre attraction boasting restaurants, gardens, nightclubs, a triple-length infinity pool and impressive panoramas of the Singapore skyline. The retail and dining attractions throughout the complex are among some of the world’s most impressive, aimed at drawing in elite clientele with plenty of money to spend. One of Las Vegas’ most prominent and revered resorts, the Wynn is one hotel resort which truly has to be seen to be believed. 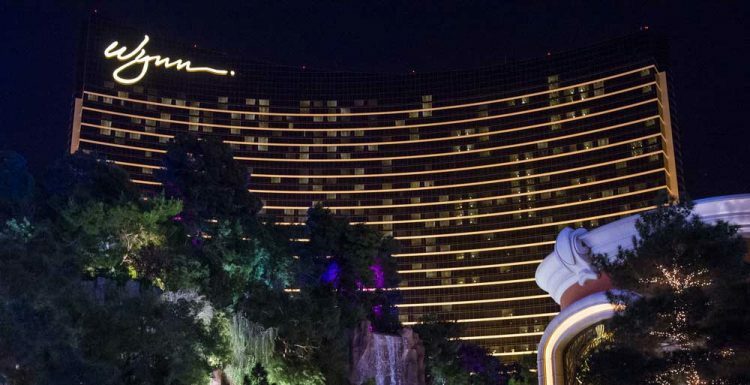 Famous for boasting its own private golf course designed by owner Steve Wynn himself, this expansive hotel’s final cost was a cool $2.7b when it was opened in 2005 and is the flagship hotel of the Wynn enterprise. The vast 18-hole golf course offers premium club and shoe hire for anyone who wants a spontaneous round, while the 110,0002 feet casino floor is ideal for anyone who fancies a few games of roulette or poker. With 2,700 hotel suites, a huge retail district, a convention centre, endless high-end bars and restaurants and even a Ferrari and Maserati dealership on site (because what else would you spend your casino winnings on?! ), there’s plenty to keep you entertained, while anyone looking to relax can chill out at one of the resort’s indoor gardens or stylish swimming pools. The Wynn’s emphasis on luxury sets it apart from most resorts in Las Vegas, ensuring its reputation as one of the best resorts around. The vast Venetian Macao is, quite simply, one of the most luxurious hotel resorts you could ever wish to see. Billed as the biggest casino in the world by floor space – not to mention the sixth largest building in the world – the Venetian Macao’s 2.4b cost began paying for itself immediately, the resort’s awe-inspiring design and scale pushing rival hotels into the shade. The Macao’s casino spans an unbelievable 534,000 sqft with a further 1,000,000 sqft in the shape of a sprawling retail complex housing a wide collection of designer shops, while the 3,000 hotel rooms and suites are famously opulent, offering an exquisite experience for guests rich enough to afford what it has to offer. 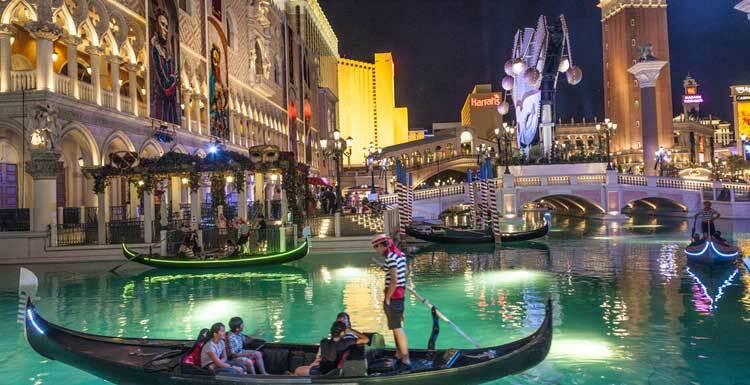 Like its Vegas namesake, the Venetian is designed around a Renaissance theme, replicating the canals, sights and attractions of Venice, with over 3,000 slot machines and 800 tables catering to every gaming preference packing the huge casino floors. 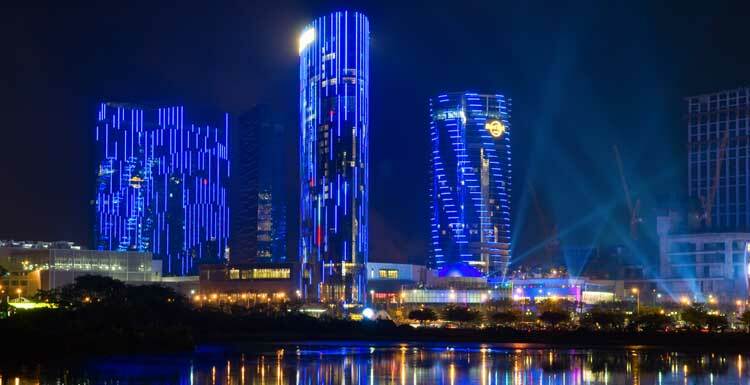 This 39-story construction is the biggest single building hotel in Asia, dominating the local skyline - while the adjacent 15,000 seater Cotai Arena now hosts events from acts including the world-famous Cirque du Soleil on behalf of the Venetian Macao, offering spectacular entertainment for guests. Putting all other casinos across the globe quite literally in the shade, the CityCenter in Las Vegas is the world’s most expensive casino. This extraordinary, sprawling resort cost an eye-popping $8.5b to build three separate hotels playing host to 5,900 rooms as well as 2,500 permanent residences. With over 12,000 employees manning a casino floor stretching over 150,000 sqft, guests have their pick of thousands of slot machines and hundreds of gaming tables. 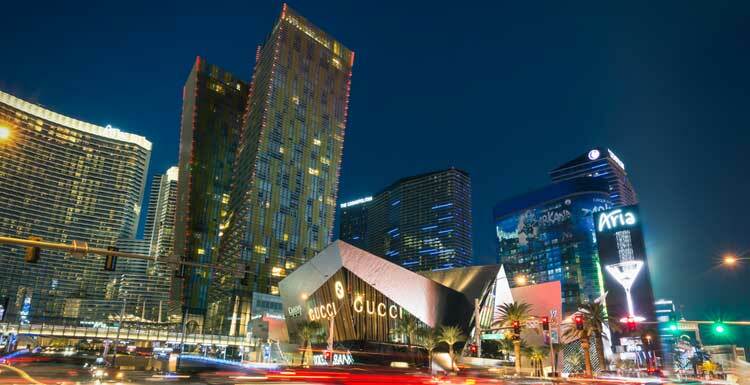 Elsewhere at the CityCenter, which totals almost 17,000,000 sqft, you’ll find two spa and health clubs, while the resort also offers high-end attractions, designer shops and fine dining – this mammoth resort certainly earns its name, feeling more like a bustling, thriving city than a hotel. One look at our list and you’ll see that when it comes to creating super-casinos, the owners of these giant companies certainly don’t skimp on costs. Boasting unparalleled luxury, these resorts naturally attract the great and the good of society thanks to their elite service, superb facilities and stunning design – and with the casino floors packed every day and night throughout the year, it’s easy to see where the money comes from to pay for these awe-inspiring establishments.